When Disney bought Star Wars from Lucasfilm back in 2012, many expected the US company to begin releasing new video games based on its hot new property. That wasn’t the case though, and aside from shuttering video game developer LucasArts (which had been making Star Wars games until that point), it also put an end to its Disney Infinity series of video games, also closing down publisher Disney Interactive Studios in 2016. This didn’t mean that there would not be any more Star Wars video games, far from it though, as Disney had given the rights to make Star Wars video games to giant publisher Electronic Arts (EA for short) earlier. Actually, EA had released the award-winning and best-selling Star Wars Battlefront game in late 2015, even if things later turned sour for EA and its Star Wars video games. This is because while expectations were high for Star Wars Battlefront II in 2017, EA botched the game’s launch when it decided to include “pay to win” microtransactions in the game, that is, people could play to gain in-game advantages over other players. 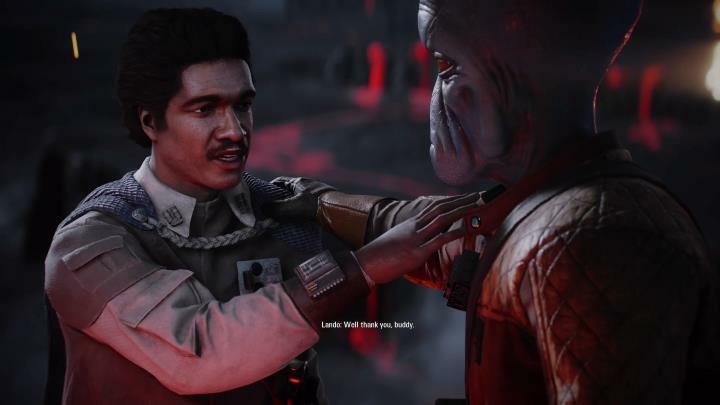 Star Wars Battlefront II’s microtransactions were removed at the eleventh hour in what turned out to be one of the biggest video game controversies of the year. Also, EA shut down Visceral Games that same year, a highly regarded developer which was making a story-based Star Wars game and which many gamers were surely looking forward to. Despite all this, Disney CEO Bob Iger said during an earnings call that Disney has a good relationship with EA, as was recently reported on Variety. Iger referred to how Disney had bought, sold and closed video game companies over the years, admitting that publishing games wasn’t its thing, and that it was sticking to licensing for the time being. “Over the years, as you know, we’ve tried our hand at self-publishing, we’ve bought companies, we’ve sold companies, we’ve bought developers, we’ve closed developers. And we’ve found over the years that we haven’t been particularly good at the self-publishing side, but we’ve been great at the licensing side”, said Iger. “We’ve just never managed to demonstrate much skill on the publishing side of games”, added Disney’s CEO. And despite EA’s missteps regarding its use of the Star Wars license to date (and the fact some might argue that the US company is wasting the highly coveted Star Wars license too) the US company is releasing Star Wars Jedi: Fallen Order this year, a highly promising game set in George Lucas’ sci-fi universe. Meanwhile, Disney’s CEO insists his company is still on good terms with EA. “We’ve had good relationships with some of those we’re licensing to, notably EA and the relationship on the Star Wars properties, and we’re probably going to stay on that side of the business”, said Iger. Here’s hoping then, that EA puts out more worthy Star Wars games while its partnership with Disney lasts, and that Star Wars Jedi: Fallen Order does live up to the hype when it hits shelves later this year.